A dental crown is simply a replica of your natural tooth crown—the visible portion of your tooth above the gumline. A dental crown is used when a natural tooth crown is damaged, cracked or in a situation where it cannot be repaired through other minor restorative dentistry procedures. Though the concept of crowns for teeth is simple, the work involved in producing a beautiful and natural-looking porcelain crown is not easy. Cosmetic dentist, Dr. Stephen Ratcliff only uses the finest materials and artisan-ship in craft each dental tooth crown. After Dr. Stephen Ratcliff has visited with you and assessed your situation, he may suggest a dental crown procedure for you. Fortunately, our Arlington dentist practice is equipped with the finest dental technology and our staff is expertly trained to make sure your dental health treatments are calm and comfortable. 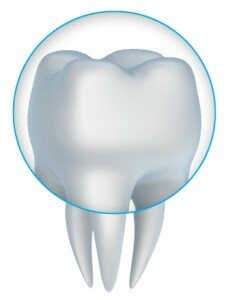 The crowns for teeth procedures start with a mold being taken of the natural tooth that will be replaced. This mold is used to help create the most realistic and natural-looking/feeling dental crown for you. The next step is called “prepping” your tooth. This involves shaping your natural tooth in order to most effectively receive, support and hold your new dental crown. When the new tooth crown is complete, we then attach it to the natural tooth that was prepped to receive it. After the new crowns for teeth are in place, we do touch-ups to make sure it functions and interacts well with your other teeth and your overall bite. If you believe you may need a dental crown treatment or are interested in consulting with us to find out if a new porcelain crown is the best solution for you, call us and schedule a visit today. Dr. Ratcliff and his team are happy to provide services to patients all over the Fort Worth area, from Arlington, TX, and Mansfield, TX, to Grand Prairie!